To maintain our certification, QMI-SAI Global will perform annual audits to ensure compliance and to assess initiatives for continued improvement. This certification to the new revision further strengthens our commitment to adhere to our company policies for continuously improving the products and services that will meet or exceed our customers’ expectations. 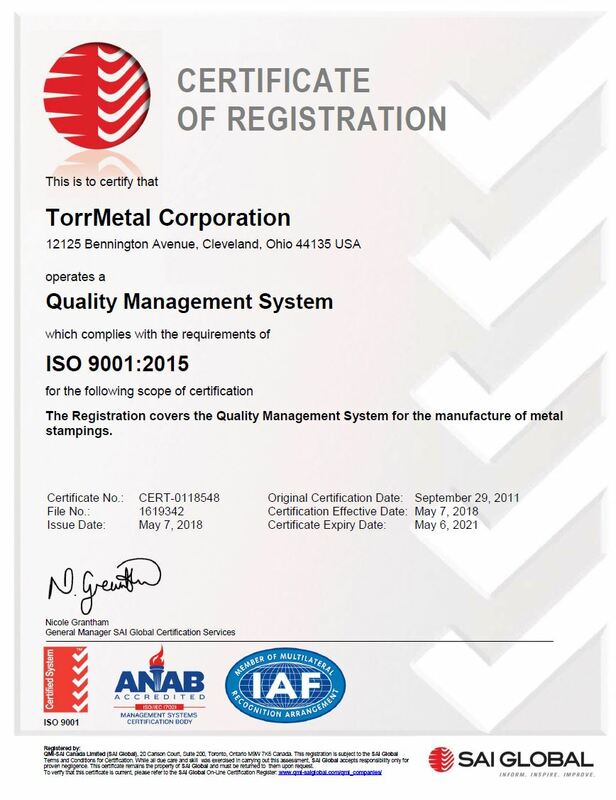 Our customers can be confident that Torrmetal is dedicated to maintaining the highest effectiveness and responsiveness in achieving our goal of total customer satisfaction.